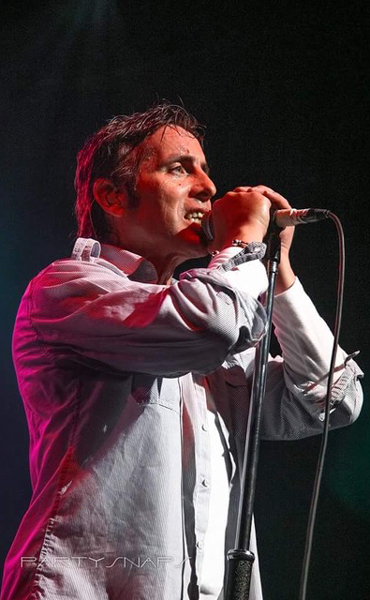 Aslan’s extraordinary singer and frontman Christy Dignam and his lifelong friend and co-founder of Aslan, songwriter/guitarist Joe Jewell bring their very popular show to An Táin Arts Centre, Dundalk once again! This is an intimate acoustic show featuring the main hit songs of Aslan; Crazy World and This Is, plus some very special cover songs by other artists such as David Bowie and Pink Floyd that inspired the duo throughout their rock n roll career with Aslan. Christy and Joe relate many great stories of the origin of the songs, and some stories of their good and bad times on the road. ‘Some Songs and Stories’ is a truly beautiful musical acoustic experience. If you love music and a good laugh, this is the real deal.